Five years or so ago, I discovered a fantastic source for dried heirloom beans online at Rancho Gordo in Napa, California (http://www.ranchogordo.com). Since then, I've seen the company written up in quite a few newspapers and cooking magazines, to the point where I selfishly worried they wouldn't be able to keep up with increased demand and I would go bean-less. Not that you can't buy dried beans elsewhere, but Rancho Gordo has cool-as-hell beans, with names like "Eye-of-the-Goat,"and "Good Mother Stallard." The website has beautiful photos and descriptions of each bean, and I have ordered many varieties over the years, including the less exotic "Borlotti," which is a favorite in Italy but was foreign to me at first. One taste of the Borlotti bean though, and I was a believer. Maybe I had just become bored with the old bean standbys, but I couldn't get over its chestnut-like flavor and satisfying, meaty texture. The only other beans I had enjoyed equally were those my father-in-law grew in his garden in Maine, which he referred to as "shell" beans. I raved about them so much he planted an extra row afterwards just for my husband and me. I canned most of them, and as we were eating our way through them it struck me one day that I loved them so much not only because they were grown with love by my father-in-law, but also because they tasted almost exactly like the beloved Borlottis. So - back to the internet, where I discovered the same beans that are known as Borlottis in Italy are called Cranberry beans, or Roman beans in this country, although some sources suggest Borlottis have been bred to have thicker skins. Since I recalled seeing canned Goya Roman beans at the grocery store, I bought them and compared them with my home-canned beans. Bingo. Both looked the same, and although the home-canned beans had a fresher quality, they were very close in flavor. 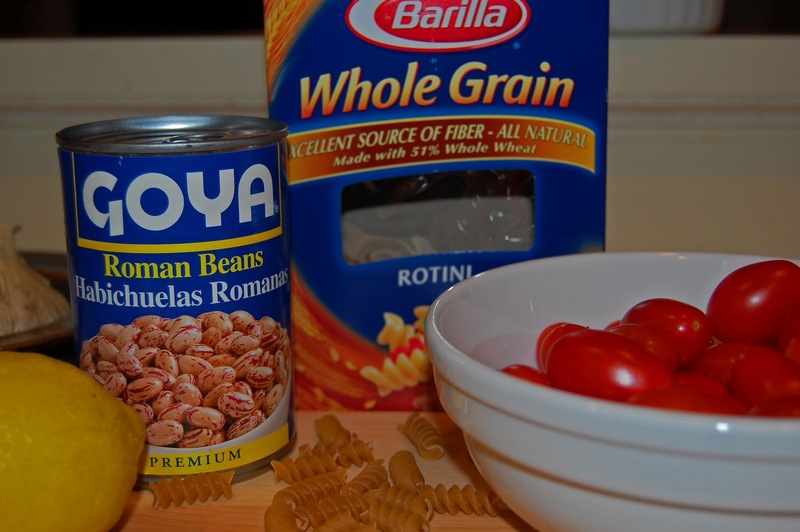 The Goya beans would definitely do when the Maine shell beans had run out and I hadn't thought ahead to soak the dried Borlottis. The lesson of this tale is, if you aren't familiar with any members of this wacky bean family, you've been missing out. I hope the recipe below helps you on your way to bean nirvana. It is based on a Food and Wine recipe by Christophe Hille using dried Borlottis. While that version is wonderful, I have adapted it using canned Roman beans for convenience and have embellished with feta, spinach, basil and lemon. 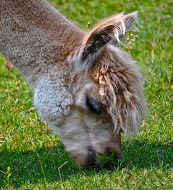 Please do check out Rancho Gordo though! The aforementioned Eye of the Goat and Good Mother Stallard beans are wonderful, and their heirloom Borlottis really are the creme de la creme of dried beans. If you have them and you have little extra time, definitely cook them up and use them in place of the canned beans in this recipe. Cook pasta in salted boiling water for the time allotted on the box.While pasta cooks, heat olive oil in a large saute or frying pan over medium high heat. Add garlic to oil and cook 1-2 minutes until heated through but not browned. Add beans and toss well to coat with garlic and oil. Stir tomatoes into beans and cook until their skins start to wrinkle. Season lightly with salt (olives are very salty) and liberally with fresh ground black pepper. Stir in basil. Spread spinach leaves and crumbled feta over top of bean mixture. Top with olives. 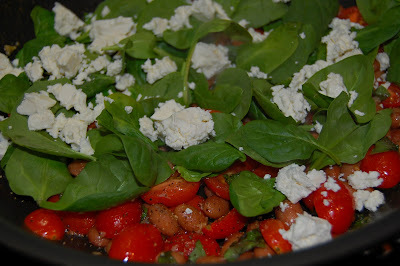 Remove pan from heat, cover, and let sit a few minutes until spinach wilts and feta cheese starts to melt. By now, the pasta should be cooked, or close to it. ***Before draining pasta, dip a glass measuring cup into pasta water, skimming off at least a 1/4 cup. Set pasta water aside. Drain pasta. Add pasta to bean mixture in saute pan and toss all ingredients together, adding up to 1/4 cup of pasta cooking water to keep things juicy. Squeeze the juice of 1/2 a lemon over the top just before serving. "Heirloom Beans" is a wonderful cookbook written by Rancho Gordo founder Steve Sando utilizing many of the products available at his website. yay! finally something I will eat! I'm definitely making this one T-bird! Because of your blog I don't have to wonder what to make anymore for dinner. This one looks GREAT. I love Barilla whole grain pastas. Thank you sweet pea. Hey Karen, Louise and Holly! So glad you're going to try this and hope you like it as much as I do. Even Aaron loves it, and he usually balks at meatless meals. Another good one Tina! I didn't have any fresh tomatoes on hand so added a big can of canned diced tomatoes and it worked out well. Love the leftovers too. Keep 'em comin.